3 bed bungalow wIth It's own lake. 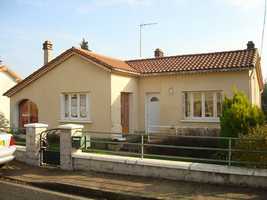 Bungalows in France - what exactly is a bungalow? The term bungalow means something different in different parts of the world. In the US, a bungalow typically has one and a half storeys, while in India it changed from meaning a worker's hovel to denoting a very grand British Days of the Raj residence! The French sometimes use the term bungalow in a slightly derogatory way to describe any cheap, small property, but the British definition of the word (as applied in this article!) is simply a single story residence. The term bears has no relation to size or grandeur, as you can see if you look at our selection of bungalows listed below. A bungalow may also have the advantage of an extra level in the form of a basement or mezzanine without changing its name. 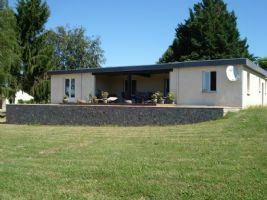 A bungalow can also make excellent use of the exceptional quality of light found in France. Roof lights can be fitted to flood the entire living space with light. You can also fit French doors throughout the property, effectively creating an indoor outside space for living! A bungalow can also offer greater privacy than a two storey home. A private garden for a bungalow can be created by small trees or even shrubs, while a higher property would need very tall trees to achieve the same degree of protection from prying eyes. A bungalow is also a perfect retirement home. So, if your dream is to retire to France (Retirement and retiring to France), you can't do better than choose a one storey home. If mobility becomes more of a problem as you get older, a bungalow means you have no stairs to worry about and even wheelchair access is easy to create. Bungalow living is simple living, and what's not to like about that? In overcrowded Britain, many bungalows seem to suffer from a lack of outside space. The only way to get the amount of living space you need is to build up unless you want to lose valuable garden space. However, in most parts of rural France, space is not an issue. 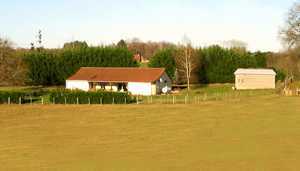 Many French properties are surrounded by a lot of garden or even land. So, you can have all the outside space you want and still enjoy the simplicity of single storey living. 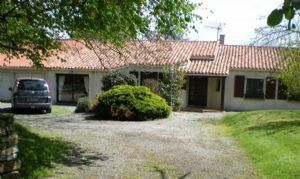 Perhaps you worry that a bungalow may not provide enough space for the life you want to live in France? Think again. Many French properties benefit from a sous sol (Le Sous Sol - A French Home's Hidden Advantage), or basement level, and bungalows are no exception. Here you can have a garage for your car, a laundry room or a place to keep your sports equipment such as golf clubs or skis. Maybe you can even fit in a games room. And do you like the idea of having a swimming pool right outside your bedroom? So you can just open the French doors and step out for a swim. It's easy if you live in a bungalow in France. 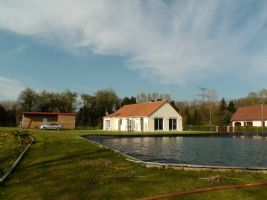 Even in villages and towns, bungalows often have enough outside space for a swimming pool, so there is no need to miss out on one of the great pleasures of a French lifestyle (Installing a swimming pool in France). 2018 is the year to find a bargain bungalow in France. Property sellers are becoming more realistic in pricing their properties to sell. It's a buyers market, so make the most of it! Browse the properties we've selected below and find your dream home in the sun. 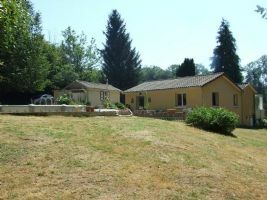 Traditional stone built bungalow with 1630m² of land. This bungalow is in a truly magical setting. Just under 1 acre of garden which has lots of shrubs and some amazing trees. The property is situated on the edge of a hamlet and is accessed by a drive. If you didn't know the house was there you certainly wouldn't find it as it is so private. 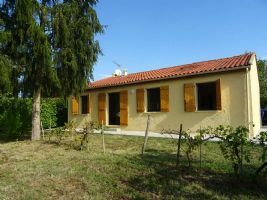 This is a modern-style two bedroom house set on the edge of a pretty and popular village with a bakers within walking distance, and the river Vienne a stone’s throw away (downhill!). It is just a 5 minute drive into the lively town of Lussac-les-Chateaux where you will find all the other necessary amenities. This single-floor property was built circa 1974 and renovated in the last year with concrete re-enforced foundations. It is an easy to maintain 'lock up and leave' property, a great holiday home or an ideal purchase for first time buyers. The interior is light and airy and decorated in neutral tones throughout. Comprising - entrance hall, shower room and WC, reception/dining room with French window to the terrace, three bedrooms, kitchen and access to the store/boiler room. Set on an acre of land this property would inspire anyone wanting privacy and calm to carry out garden projects and activities needing a workshop. The garden, which is securely fenced & dog proof, has a selection of fruit trees (cherries, peach, kiwis, variety of apple & a walnut tree); also raspberries, strawberries and rhubarb. The house, built in 2000, offers 5 bedrooms & 2 extra rooms all positioned around a large, light-filled, open-plan living space. 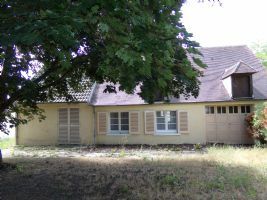 This bungalow sits in a hamlet near to Luchapt. ** Reduced for Quick Sale ** Beautifully presented bungalow home built in 1990 resting on an impressive plot of approx. 3500m2. Offered by the current vendors ready to use with no work required and benefiting from being connected to mains drains and comes with gas fired central heating. Fabulous detached bungalow designed & constructed by the current vendors in 2006. Offered and presented in immaculate order throughout. Set in beautiful gardens and grounds that extend to 1.5 acres – a delight for any budding enthusiast. With a gated entrance and enclosed all-round they are safe for children and ideal for pets. Peacefully located at the end of a dead end lane in a tucked away but not remote position ensuring a high degree of privacy with ample space for a pool. 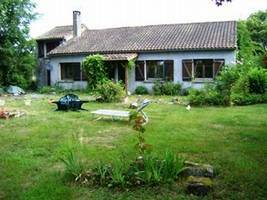 Ref 1997 : Nice property in perfect condition bordering the Canche river on 80 meters, located in a charming village between Hesdin and Frevent. Comprising of: nice lounge - dining room with wood burning stove (45m² approx.) with open views onto the pond and river, fitted kitchen (13sqm), corridor leaning to 3 bedrooms, bathroom (shower + bath), toilet, large utility room (can be converted into 4th bedroom.) Built in 2002 and completely furnished and renovated with high quality materials. Large architect designed bungalow on 5 acres of land. 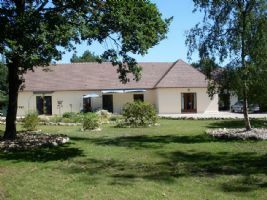 In the heart of the countryside with open views is this architect designed single storey property. The house has approximately 200m² habitable space plus garage and out building. The roof is flat so makes an ideal ‘terrace’!